Amazon House is a Grade II building, the former Manchester Urban Warehouse displaying many of the characteristic features of its kind. 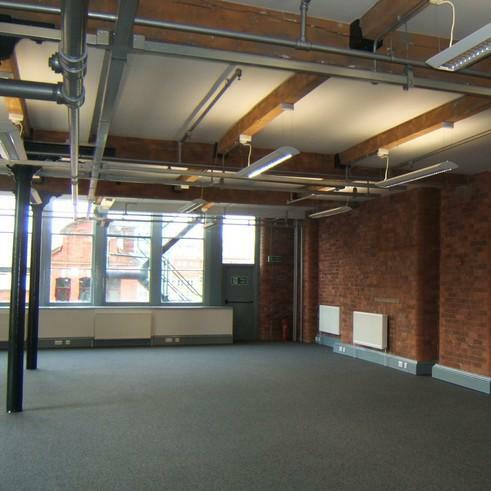 The two separate projects undertaken for the same client included the modification and refurbishment of the third and fourth floors respectively into high quality office space. Each floor extending to approximately 3,000 sq ft in area was fitted with raised access floors and featured sand blasted masonry walls, cast iron columns and wrought iron beams incorporating brick ‘Jack’ arches to the third floor and an open trussed roof with ‘conservation’ roof lights to the fourth.